The teams have been named for the 2017 edition of the Walker Cup, which features many of the rising stars in the game of golf. The competition pits 10 of the top amateur players from the United States against their counterparts from Great Britain and Ireland (GB&I). The Cup returns to California for the first time since 1981 as Los Angeles Country Club will play host to the 46th edition of the competition. First contested in 1922, the United States leads the all-time series 35-9-1. Over two days of competition, there will be 18 singles and eight foursome matches starting Sept. 9. 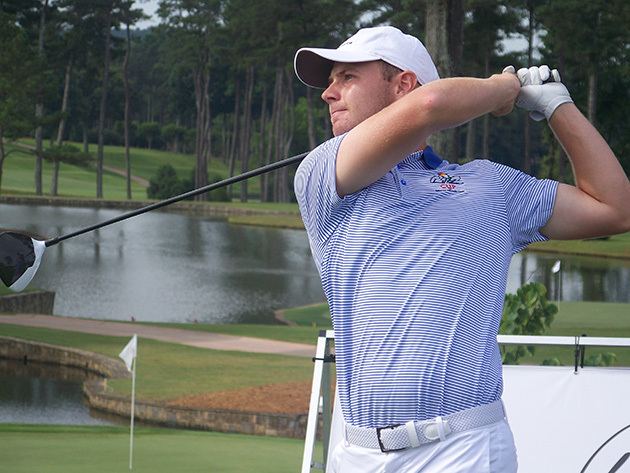 Leading this group of talented amateur players are seven players who previously competed in the Arnold Palmer Cup with five featured at the Atlanta Athletic Club earlier this summer. Doug Ghim of Texas, Maverick McNealy of Stanford, Collin Morikawa of California and Norman Xiong of Oregon are coming off a strong team performance for the Americans in Atlanta, which saw Team USA soundly defeat Team Europe, 19.5-11.5. One member of that European team is in the Walker Cup field as Harry Ellis of Florida State will again compete against his American counterparts. Will Zalatoris of Wake Forest and David Boote of Stanford both played in the 2016 Arnold Palmer Cup at Formby Golf Club for the United States and Europe, respectively. That year, Boote and the Europeans took home an 18.5-11.5 victory, and he will be looking to do the same at this year's Walker Cup. Doug Ghim of Texas is coming off a strong team performance for the Americans in the 2017 Arnold Cup. 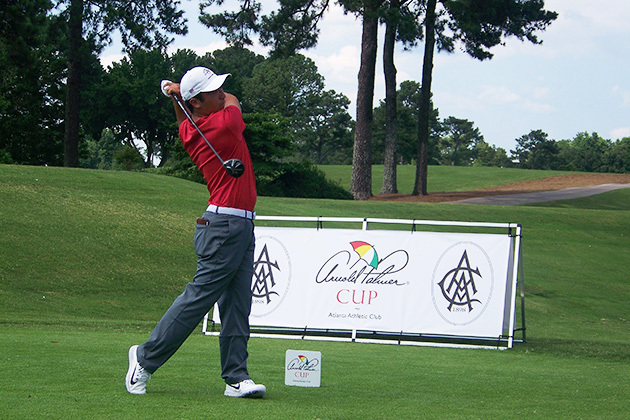 Ghim looks to continue his strong play from this summer when representing the United States as he went undefeated in all matches at the Arnold Palmer Cup and is also coming off a strong runner-up performance at the U.S. Amateur. McNealy, the Ben Hogan Award presented by Konica Minolta winner, is the only player on this year's Walker Cup team who also played in the event in 2015 and will be looking forward to the opportunity to win this time around. In Atlanta, the rising junior Morikawa earned an exemption to the 2018 Arnold Palmer Invitational after being voted by his fellow competitors as the player who best represented the legacy of Arnold Palmer. He also went on to win the Northeast Amateur. Xiong continues to rack up accolades after a strong spring saw him earn the Phil Mickelson Outstanding Freshman Award. Harry Ellis of Florida State competed for Team Europe at the 2017 Arnold Cup. England's Ellis leads a strong GB&I team as he looks to build on a solid summer after winning the Amateur Championship in dramatic fashion when he battled back from four holes down with five to go. On Monday, The R&A announced its team for Great Britain & Ireland, which is being captained by Craig Watson, 1997 Amateur Champion and former Walker Cup player. The team is made up of five Englishmen featured alongside two Scots, two Welshmen and one player from Ireland. British Open Silver Medalist Alfie Plant looks to carry his momentum from Royal Birkdale into the Walker Cup. He is supported by 2016 Amateur Champion Scott Gregory, the highest ranked GB&I player in the World Amateur Golf Ranking; Welsh Amateur Champion Jack Davidson; and Lytham Trophy winner Jack Singh Brar. The GB&I team will look to retain its title after their 16.5-9.5 victory in 2015. Much like the Arnold Palmer Cup, the Walker Cup has seen many top amateur players before they launched their professional careers. Players like Jack Nicklaus, Tiger Woods, Rory McIlroy, Jordan Spieth, Phil Mickelson and Rickie Fowler all played in the Walker Cup in their days before becoming PGA Tour stars. The 2019 Walker Cup will be played at Royal Liverpool Golf Club in Hoylake, England, the site of the 2000 Arnold Palmer Cup.